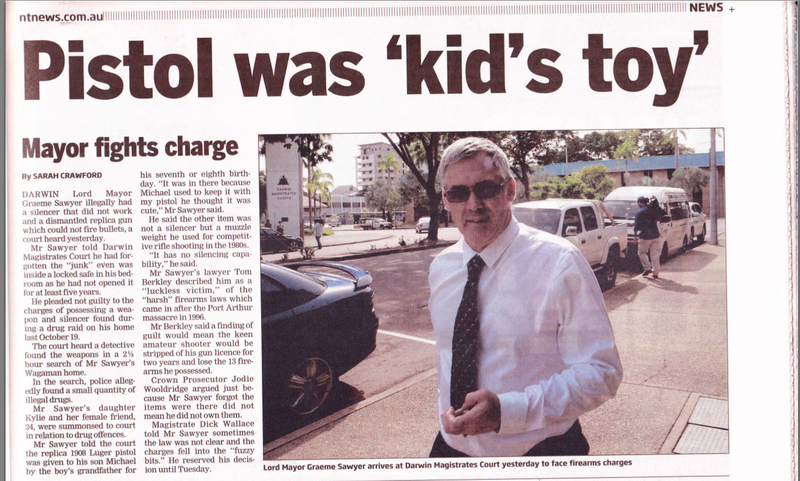 Quote from NT News article. house of Darwin Lord Mayor Graeme Sawyer. NT Police launched an investigation in an attempt to identify my sources. Without my initial knowledge or consent NT Police accessed my telephone records in an attempt to identify who provide me with information about the raid on the Lord Mayor’s house. The investigation forced Northern Territory Police to change their process when accessing the phone records of private citizens. Below are a selection of NT News articles detailing the ‘phone tapping’ and subsequent independent investigation. 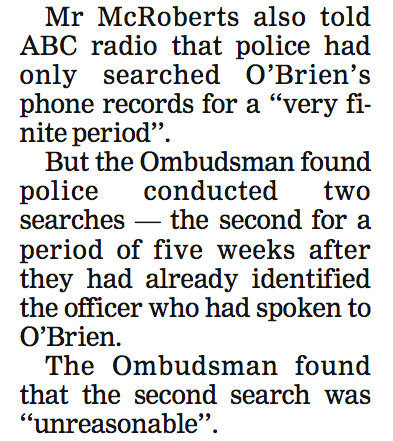 Investigation finds accessing Justin O'Brien's phone records was unreasonable. 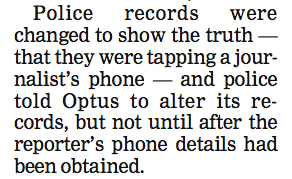 Police admit mistakes made accessing journalist's phone records. 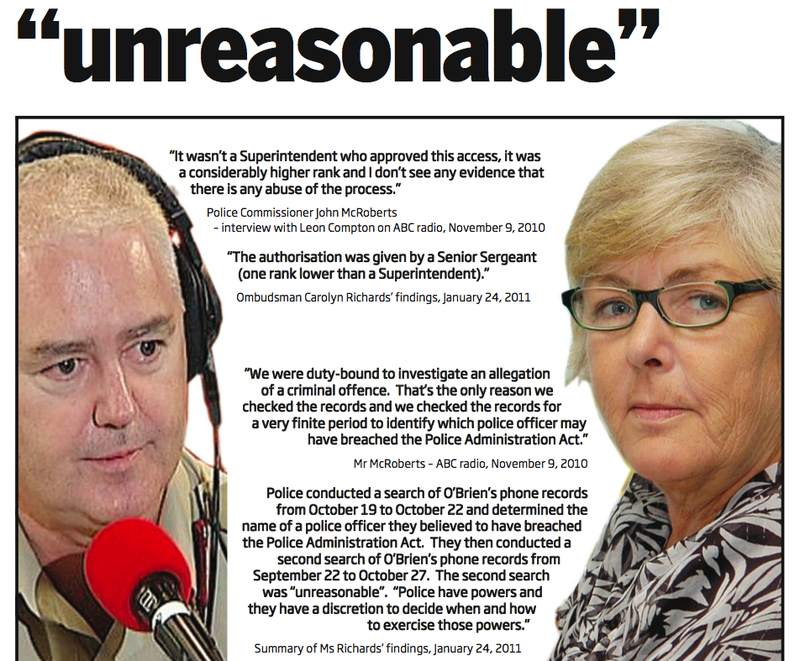 NT Police Commissioner defends accessing a journalist's phone records. Investigation critical of NT Police for accessing a journalist's phone records. 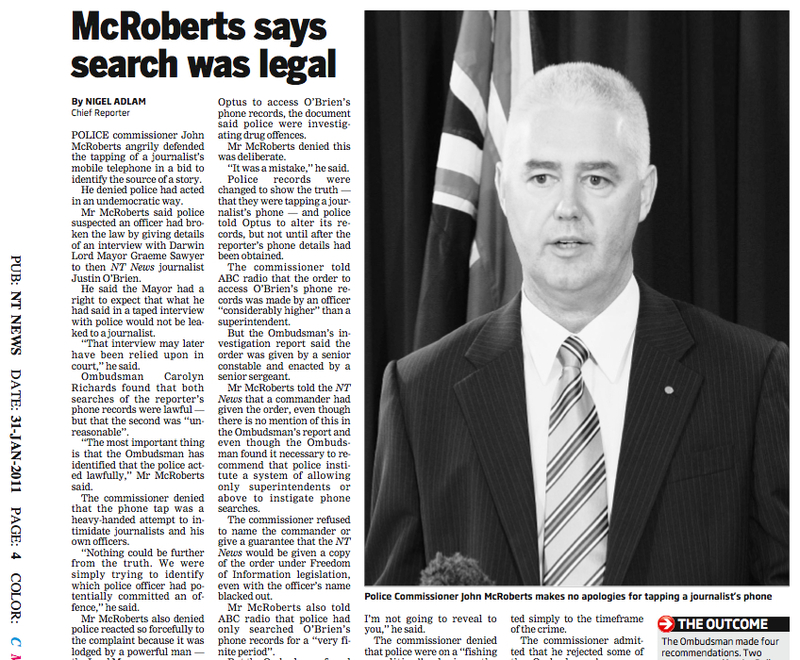 Investigation finds statements by NT Police were 'untruthful'. 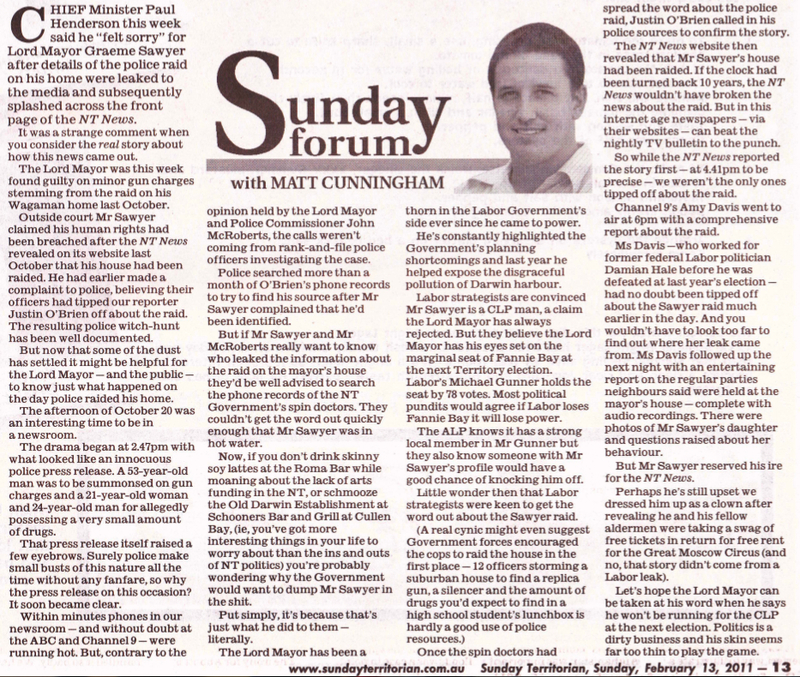 Article reveals the police raid tip-off was made by Saywer's political enemy. 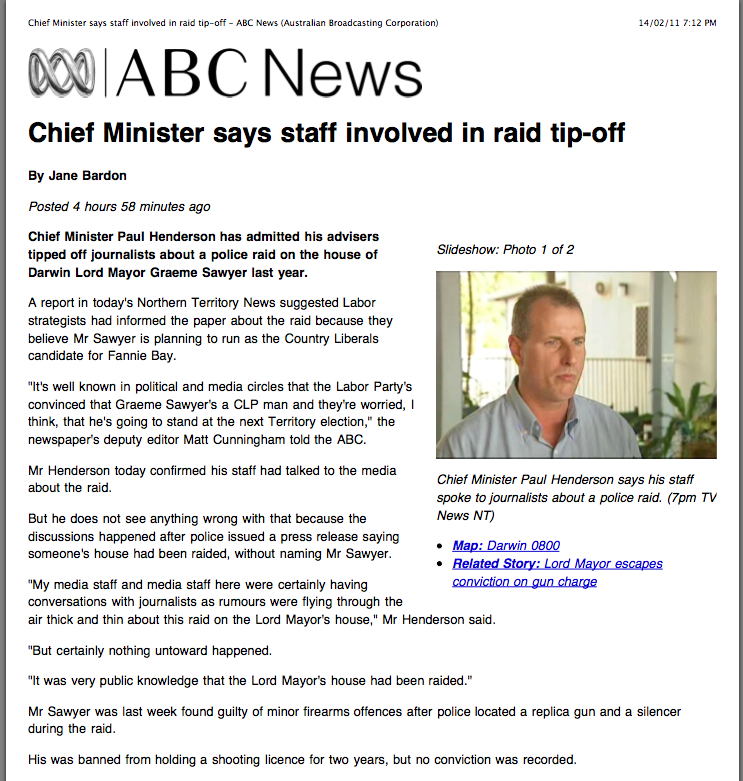 NT Chief Minister admits his staff leaked the Sawyer raid to reporters.